Acorn Department Store 1928-c1933. Cincinnati Bargain 1922-c1933. The Cincinnati Bargain Store conducted business on Broad St., alongside of the Acorn Department Store, from 1928 to approximately 1933. 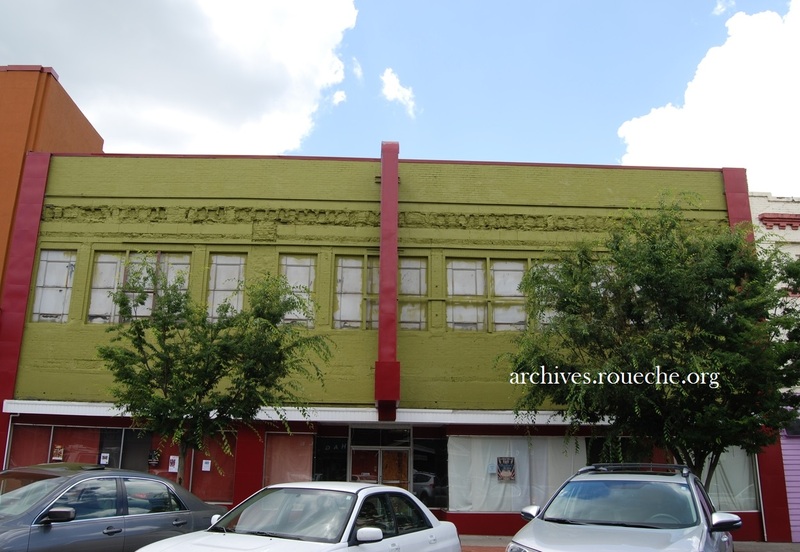 If it doesn’t look familiar to you, perhaps you will recognize the facade from when it was Broad Street Furniture. 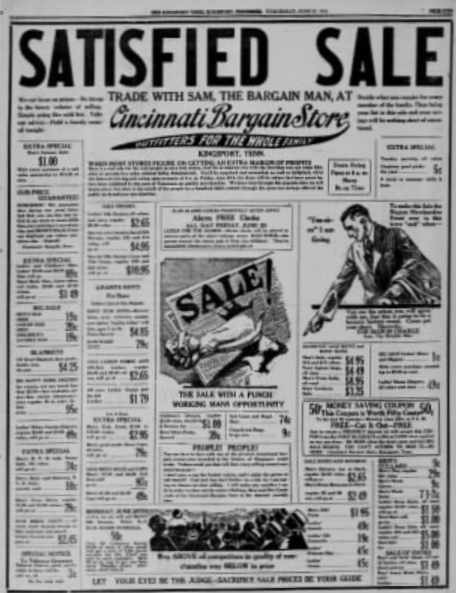 After the Cincinnati Store closed, the J. Fred Johnson Store moved in. 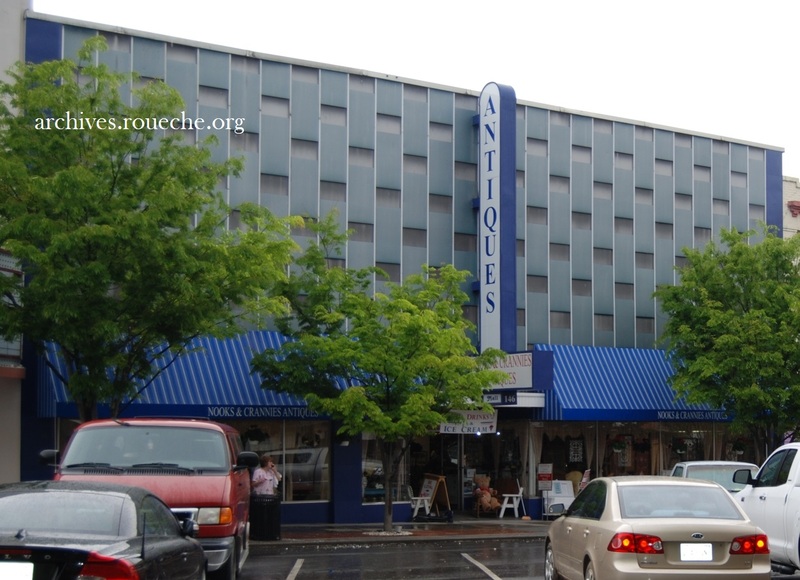 The furniture store came next followed by an antiques store. In February 2015, a crew began to remove the modern facade. 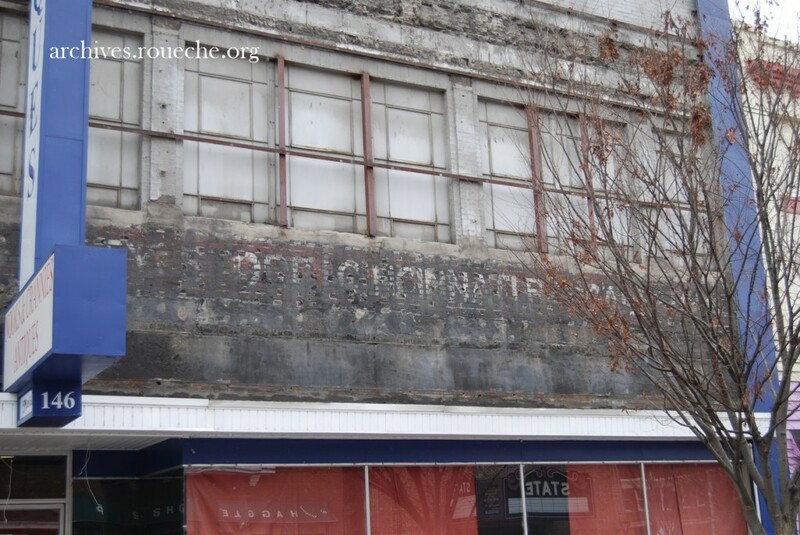 The original windows, brick work, and paint, though damaged, were revealed. I looked forward to the black, industrial adhesive being washed away and the brick details being repaired. But, alas, this month painters arrived on the scene. 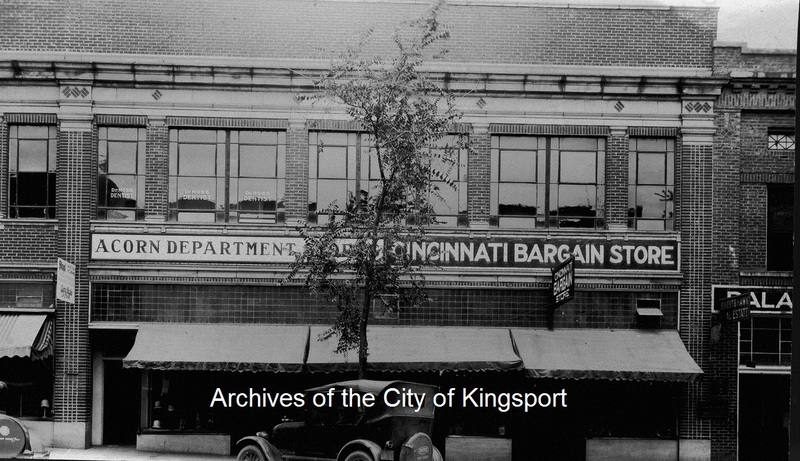 Everyday I am grateful to the downtown business owners who have painstakingly, and at great expense, restored the beauty of original Kingsport architecture. But, for now, I’m in mourning. Feature image: Painted brick going to heaven. 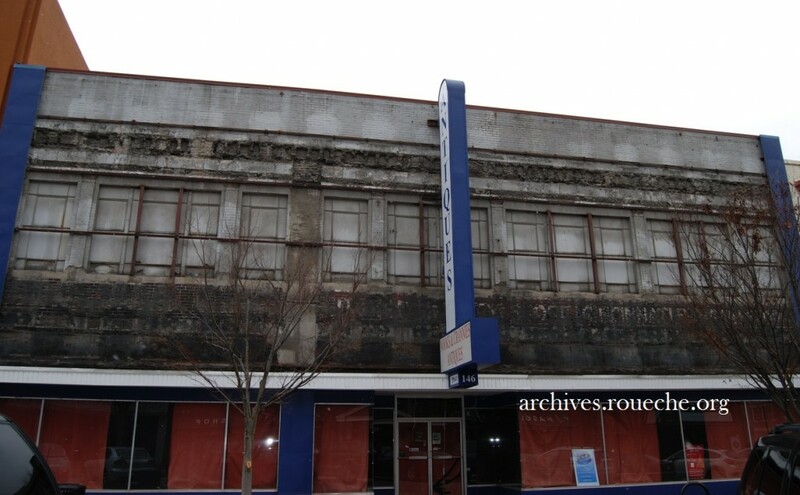 Vince Staten’s blog post about the facade reveal. This entry was posted in Kingsport and tagged historic sites, Kingsport, marketing, photograph, restoration. Bookmark the permalink. I join you in mourning. And seriously, who picked the color!?! I will join you as well. My husband and I were downtown not too long ago admiring the old brick and commenting how cool to see the old business names. It’s sad that they just painted right over it! I agree, who did pick that paint color?!? That is some kind of awful! Why is everything turning puke green these days?